You may be wondering why the VMC camera will be free for public imaging requests on 25-28 May – and hence why we can run the VMC Imaging Campaign. 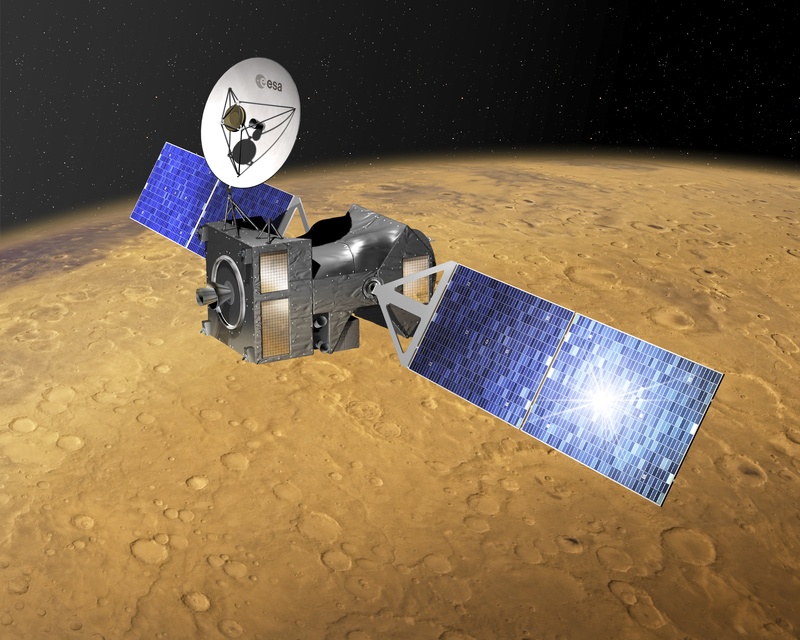 Mars Express Spacecraft Operations Engineer Andy Johnstone provided this reply. The present conjunction period, when the Sun will block the direct line of sight between Mars and Earth, starts on Friday, 28 May, and lasts about five weeks until 1 July; the conjunction point happens on 14 June. As we’ve described before here in the blog, routine science payload observations are carefully planned well in advance.In this case, there is a boundary on the planning period (which are normally 28 days) that ends four days before 28 May, and it was decided by the operations and science planners not to conduct science during only four days. So, while this frees up a rare time slot when no science will take place, and while VMC therefore may be used for this valuable public and educational outreach activity, this isn’t the only activity happening during the four days. We are spacecraft engineers, after all, and our goal is always to test, optimise and maximise the performance of our spacecraft. Monday-Wednesday: Tests with MELACOM (our UHF radio used to communicate with landers on the surface) as part of preparations for Mars Express to support ExoMars Entry Descent Module (EDM) landing next year. Tuesday: A test for the Trace Gas Orbiter (TGO) mission, a partnership between ESA and Russia’s Federal Space Agency, Roscosmos. They want to prove that we can perform ground station swaps without bringing down the carrier. We are going to let them use MEX as a test vessel. Wednesday: Performance tests on our solar arrays and batteries (last done just after the passage of comet Siding Spring in October 2014) and testing of redundant heater lines. We may also perform a special pointing with all instruments OFF in order to get a more accurate model of how much heating comes from the Sun, and how much is from internal components. Wednesday-Thursday: Loading of the most vital commands to configure the craft for the Solar conjunction period. These relate to our attitude and orbit control system (AOCS). For this conjunction, we will be leaving our X- and S-band transmitters ON throughout as we do not have any power limitations this year. Thursday: A full performance check of the Transponders (radio transmitter/receivers) in both X- and S-band; this takes advantage of us having some long passes with no science data to be dumped. We can see how they both behave at the same distance on the same station with the same weather. So, VMC is not the only valuable activities taking place in the run up to the conjunction period. We are using this opportunity to carry out lots of tests and it is likely that we may end up with more. But, with VMC, we are using some spare time in between operational activities to give something back to the public – especially students and teachers – who are some of our strongest supporters!